Last weekend I went to the Yuma Art Symposium. I had a great time spending three days with other artists, got a chance to put a piece in the student show, and took classes. It was just what I needed. Now I feel recharged and ready to make new work! Participants at the symposium were encouraged to create pins to exchange with other artists. 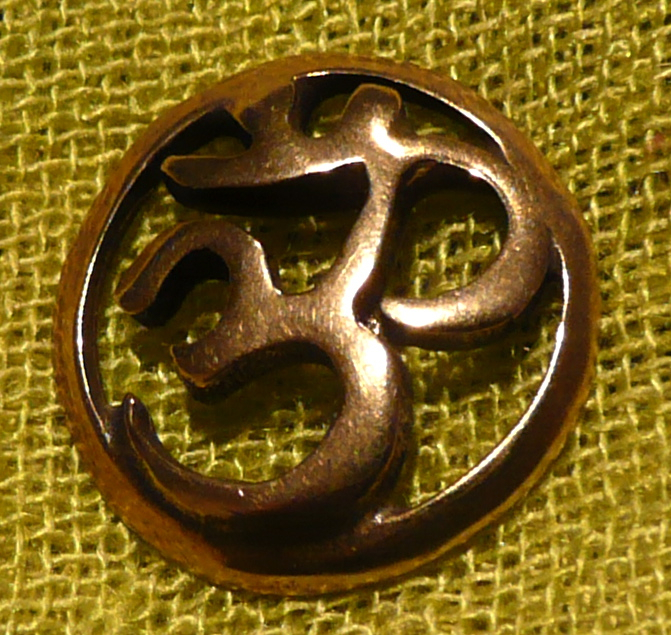 This is the pin I made – it’s an OM made of bronze. For the student show, my mokume belt buckle was on display. Each person who had work in the show had a few minutes to talk about their work and have a slide show. Below are the pieces I talked about (except for the pin). I was a little nervous to get up there and speak, but in the end it was all good.